Pocket Expense is a full-featured finance software that you can carry in your pocket. It is a powerful and easy to use program that will help you track and understand your personal finance. 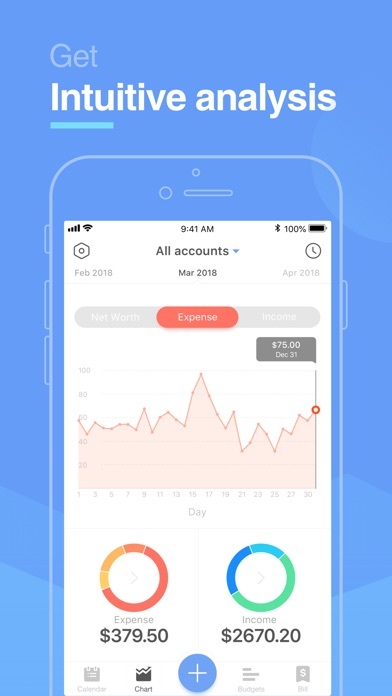 Pocket Expense brings all your financial accounts together, categorizes your transactions, tracks all your bills, lets you set budgets and helps you achieve your savings goals. In just minutes, you’ll see where your money is going and where you could save money. TRACK YOUR ACCOUNTS You can easily input and manage your accounts. All your accounts will be displayed in one place. You are supplied with a set of icons for your accounts. All transactions related to the same account will be displayed in one page so that you can manage them easily. 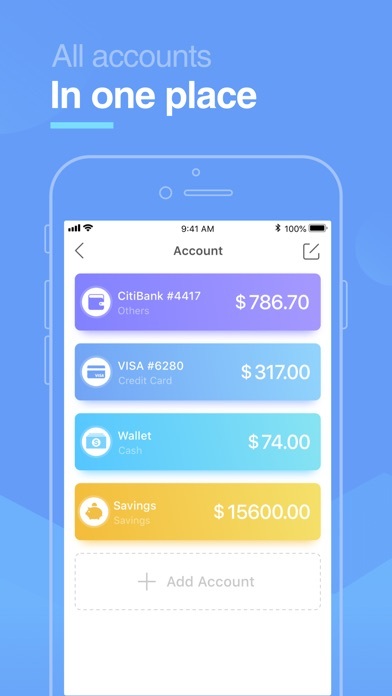 √ Support multiple account and account type √ Statistic for daily/weekly/monthly/yearly overall √ Track balance of each account BUDGET MANAGEMENT Stay in control and monitor your spending with the help of this budget tracker feature. Set yourself a limit and debit all your payments. You can always see how much money is left until your budget is gone and whether you might better postpone a purchase. Over time this should help to save some money instead of going into dept. √ Support multiple budgets √ See your expenses of one budget through charts √ Move funds from one budget to another in a single operation √ All information for a budget is archived and can be easily viewed for comparative purpose TRACK YOUR BILLS Pocket Expense will make sure that you’re never late for even one bill. 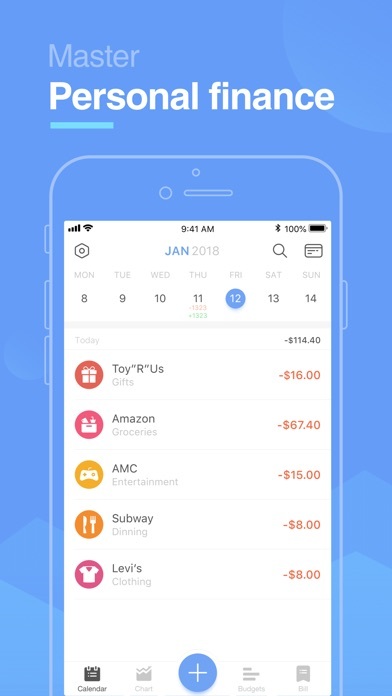 By tracking each bill, which is customizable with different reminder alert periods. 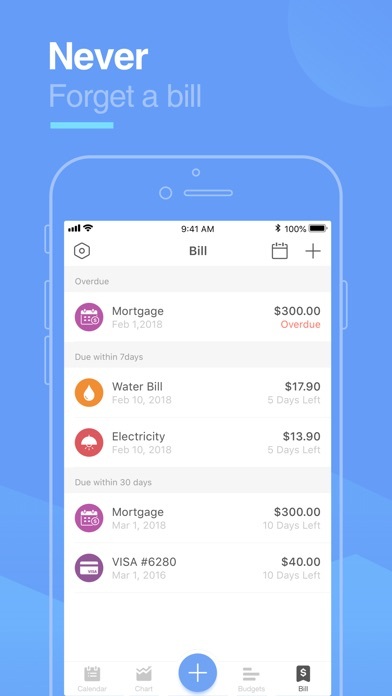 √ Support multiple bills of different recurring √ Set alerts to remind you of which bills are close to due dates or overdue √ Allows for the payment of bills in full or in part √ Support multiple payments of each bill √ Support calendar view √ Show total amount of all and overdue bills √ Mark bills with icons according to their status Other Key features: - Sync via Dropbox - Password protection - Simple, attractive interface - Payers & payees management - Category management - Provide Q&A - Powerful statistics and reports of all your transactions - Quickly search for transactions and edit from the same screen - Complete world currency list - Backup and restore all your data over WiFi If you have any problems or suggestions please send a mail to expense5@appxy.com, you’ll get the response in a short time. The graphics are great. You have everything that you need in one place. The ability to pay your bills, and make sure that your checkbook or available cash matches the bank. These features are everything I have been looking for; however, there is a MAJOR glitch!!! Transactions that I have entered in error and then deleted, keep getting re-entered during a sync. It is so frustrating to have to go back and delete these transactions every time I open the app. I can’t do anything else in the app unless I delete these transactions that keep appearing. I sent feedback to the developer and all they said was they would try to duplicate the problem for a possible update in the future. Ugh. Guess I will keep using MINT. Favorite app in keeping logs on income and expenses. 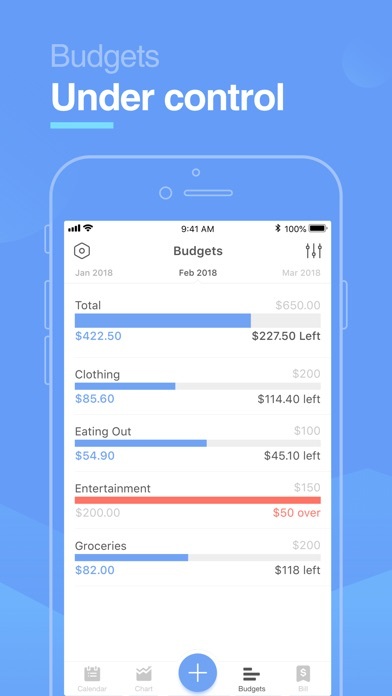 Awesome budgeting app! Paid version rocks! Allows me to easily keep track of all my expenses/expenditures across multiple accounts. Highly recommend! Used it for a while until it became moribund. Glad the developer got it working again. Works across iOS devices.